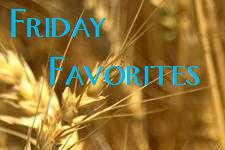 I am new to Friday favorites. It's something Janana Bee started over on her blog & I love the idea. The idea is to post the things that helped get you through the week. So, here are mine for this week. We got Ashley moved to her own room. No more sharing for my kiddos. They had been sharing a very 20+ foot long room that my Nanny cleverly divided with a curtain. Now Ashley is in her own space and we got it pretty much done in one day! I'm so happy for both kids actually! And I love the lavender color of her new digs. The SITS Spring Fling! That was super fun! I met some nice folks, found more blogs that I really enjoy, & I won stuff! Hoping to all those blogs was so fun, I seriously enjoyed that day. Pushing Daisies. Yep, the tv series. I received the first disc of the first season from Netflix this week. It only had three episodes on it, but I really enjoyed them. The show is so fun & cute! Dan had said he was not going to watch it with me, but he came home from work while it was on and immediately got sucked in. He only realized what he was watching after the episode ended, lol. Rain! We desperately needed it and it is finally here. And it has stayed around awhile, so that's awesome! And these beauties showed up this week! I am so thrilled to see the first hints of spring! 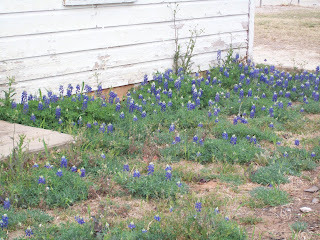 I'm excited about the bluebonnets, not the weeds. So those are my Friday Favorites! Click the Friday Favorites button up top to check out more! I love your Friday Favorites, too! I love that Spring is around the corner.. it has been WAY too long of a winter up here! Somehow i found you..by gasping when i saw a "Nessa" had won a giveaway..then i realized there is another Nessa out there! Likin your blog..
First, thanks for stopping by my Friday Favorites. I love Pushing Up Daisies and was not happy ABC cancelled it. The show was very different and the colors they used were great. It just was just a witty, fun and visually stimulating show. I will be back to visit and for sure catch you next Friday! Comin over from Janna's blog. 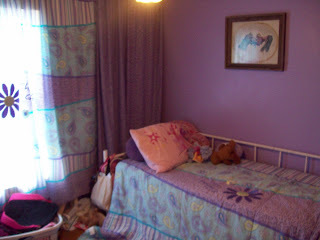 I love the look of your daughters new room. Purple is one of my favorite colors. We just planted some flowers a couple of weeks ago and they are sprouting like crazy. Can't wait for the actual flowers to pop up. Ashley's room, the rain and bluebonnets are all fantastic. I can't wait to see Tristan's finished room. Ashley's room is so pretty! My girls' room is painted that same shade and they love it. i thought pusing daisies was a good show until I discovered it was cancelled. don't you hate when that happens? I am SOOO excited that my grass is turning green and the trees are budding!! !